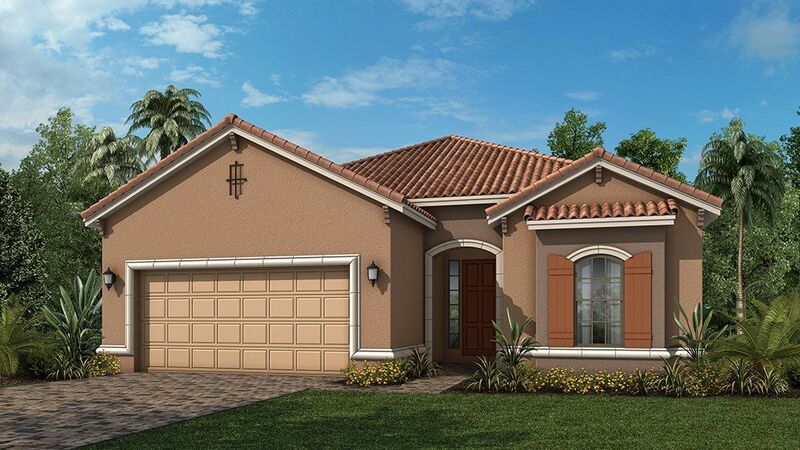 Final homes are now selling at Pebble Pointe in Estero, Florida! Don't miss the chance to secure your dream home in beautiful Pebble Pointe at The Brooks.About Pebble Pointe Discover your new home in this stunning Estero, Florida community! Pebble Pointe at The Brooks features a picturesque setting with a pristine lake and lush landscaping, as well as a community dog park and gazebo. Available homes include a selection of Taylor Morrison’s most popular floor plans, all featuring open concepts with flexible space options, thoughtful designer touches and the company’s high standards of construction excellence. There are NO CDD fees and Pebble Pointe is proud to be a natural gas community.New Estero Homes From the High $300s Come home to a beautiful, expertly crafted and well-appointed home filled with features inspired by you and selected to add comfort, style and value. Get in touch with Taylor Morrison today. Learn more about our real estate, and how you can finally make your way home to Pebble Pointe.1,856 to 3,144 Sq. Ft.2 to 4 Bedrooms + Den2 to 3 Baths0 to 1 Half BathFabulous Lee County Location One of the most enviable traits of Pebble Pointe at The Brooks is its fabulous location. All of the best of the famed Florida lifestyle is within easy reach – from the urban and cultural delights of downtown Naples to the finest in outdoor recreation, including golf, tennis, boating and fishing. For those who love the beach and great outdoors, there are multiple state parks, boat ramps and beaches in close proximity, including the renowned Sanibel and Captiva Islands. Shopping enthusiasts will love being just two miles from Coconut Point, the region’s largest shopping mall with more than 20 restaurants, 80 shops and a 16-screen movie theatre.